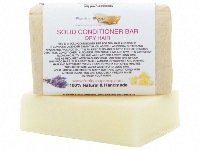 THIS IS A SOLID CONDITIONER BAR FOR DRY HAIR AND SCALP. 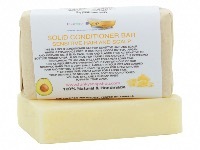 IT CONTAINS LAVENDER ESSENTIAL OIL AS WELL AS COCOA BUTTER AND ARGAN AND AVOCADO OIL. IT IS AN EASY, FUSS AND PLASTIC FREE ALTERNATIVE TO BOTTLED CONDITIONER. ALSO IDEAL FOR TRAVELLING AND GYM. IT IS EXTREMELY ECONOMICAL TO USE AND WILL LAST FOR A VERY LONG TIME. 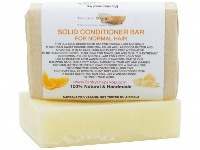 THIS IS A SOLID CONDITIONER BAR FOR NORMAL HAIR AND SCALP. IT CONTAINS SWEET ORANGE ESSENTIAL OIL AS WELL AS COCOA BUTTER AND ARGAN OIL. IT IS AN EASY, FUSS AND PLASTIC FREE ALTERNATIVE TO BOTTLED CONDITIONER. ALSO IDEAL FOR TRAVELLING AND GYM. IT IS EXTREMELY ECONOMICAL TO USE AND WILL LAST FOR A VERY LONG TIME. 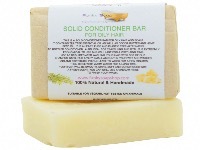 THIS IS A SOLID CONDITIONER BAR FOR OILY HAIR AND SCALP. IT CONTAINS TEA TREE ESSENTIAL OIL AS WELL AS COCOA BUTTER AND HEMP SEED OIL. IT IS AN EASY, FUSS AND PLASTIC FREE ALTERNATIVE TO BOTTLED CONDITIONER. ALSO IDEAL FOR TRAVELLING AND GYM. IT IS EXTREMELY ECONOMICAL TO USE AND WILL LAST FOR A VERY LONG TIME. TO BOTTLED CONDITIONER. ALSO IDEAL FOR TRAVELLING AND GYM. IT IS EXTREMELY ECONOMICAL TO USE AND WILL LAST FOR A VERY LONG TIME.